Colorado Mountain College aligns its academic offerings to emerging and high-demand career fields within the region it serves, as well as overall state labor market trends. We offer programs for just about any area of interest that will prepare students for ongoing education or direct employment. The following resources provide the best information regarding the current labor market and future projections for jobs. Beyond earnings information, this tool has enhanced features, such as Return-on-Investment (ROI) analysis, labor market information, in-demand occupations and job skills. 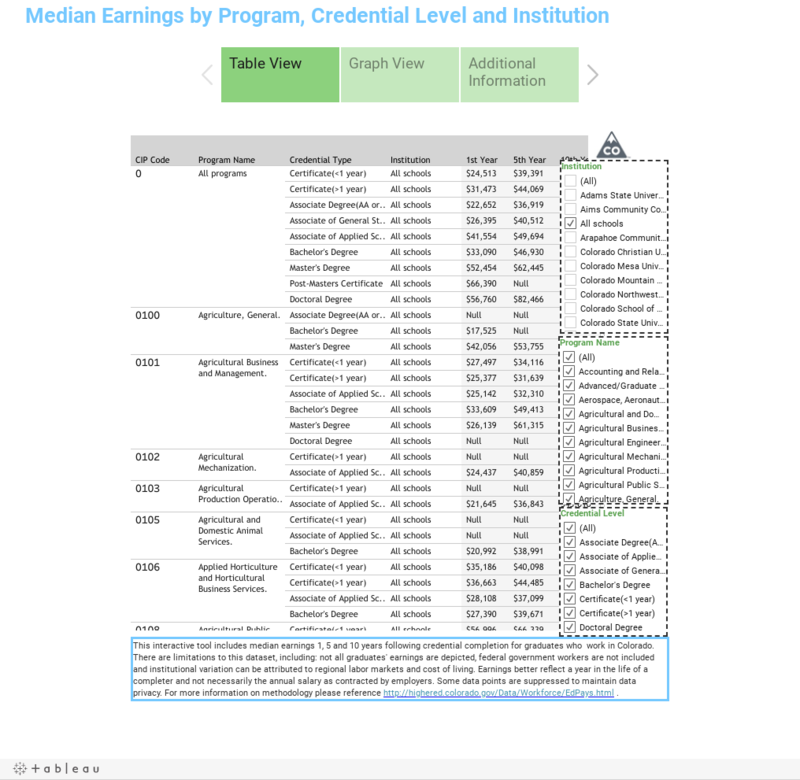 Use this interactive, online tool developed by the Colorado Department of Higher Education and College Measures to search and compare median earnings based on field of study, credential level and college or university attended*. The data represents more than 215,615 graduates. *For example, users can select "Colorado Mountain College" as the Institution, "Fire Protection" as the Program, to reveal earnings data for that specific program.